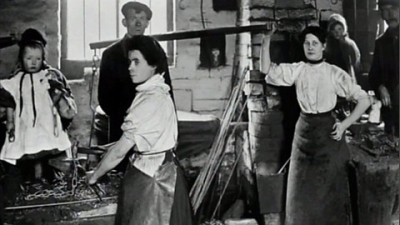 In this final episode, Michael Wood takes an overview of the momentous history of the last century between the jubilees of 1897 and 2012, when the people of Britain went through two world wars and saw their industries and their empire shrink, transforming the country from the greatest power on Earth to the world's first post-industrial society. From the Govan shipyards to Belfast, from the Black Country and the Potteries to Manchester, Leeds and Liverpool, Michael meets the people whose lives have been changed, but whose histories have not been forgotten. The Accrington Pals are still movingly remembered on Armistice Day in Lancashire, while in Suffolk both the British and the Americans honour those who died in WW2. Post-1945 brought the shock of the new in housing, education and healthcare, while in the post-empire, multicultural world of the last fifty years, new Britons arrived. In Leeds, Michael looks at the UK's first Caribbean carnival, spends Prince William's wedding day at a hindu temple outside Birmingham and chats with residents from Moss Side at Peace Radio. And now as old identities break down and new ones form, Michael asks whether the Union itself will survive. In the nearly two thousand years covered by the series, the people of Britain have gone through feudalism, civil wars, capitalism and industrial revolution - so now what lies ahead? And what lessons does our common history as Britons have to teach us?